07/12/2018 Clubbies Awards - Nominate your club today! 19/04/2016 Junior Rugby League is HERE!!! 02/05/2013 ROUND 1 FIXTURE ! 24/08/2012 It’s VRL Juniors Semi Finals time! 29/02/2012 Storm Stars Signed Up To TIP!!! 29/02/2012 2012 NRL season is almost here ! 14/02/2014 Register Early in 2014! 27/01/2015 Women's Tackle 9s - A weekly competition in 2015! 20/01/2015 Massive 2015 Season Ahead! 08/02/2017 Volunteer for RLWC 2017! 14/05/2013 NO CARD, NO PLAY. 10/11/2016 Get Your RLWC Tickets! 28/10/2016 2016 NRL Victoria Awards Night Recap - All The Winners! 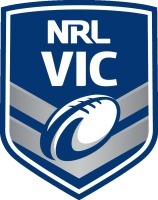 30/07/2017 ISC NRLVIC 9's adds another chapter to a growing rivalry.